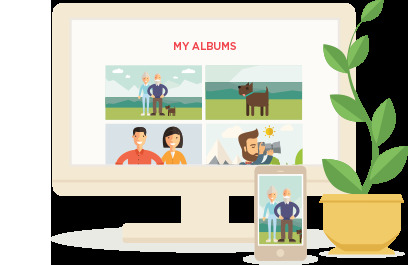 Want to scan more photos and add them to an existing Photomyne album? No problem. Simply go to the album you’d like to add photos to and tap the Camera icon, right underneath the album’s title (first icon from the left). Another way to do so is to scroll down to the bottom of the album’s photos and tap the Camera+ icon (Add photos). Tap the Camera icon right underneath the album title. You can also scroll down to the last photo and tap the Add photos icon. This will open the camera screen so you can start scanning additional photos. 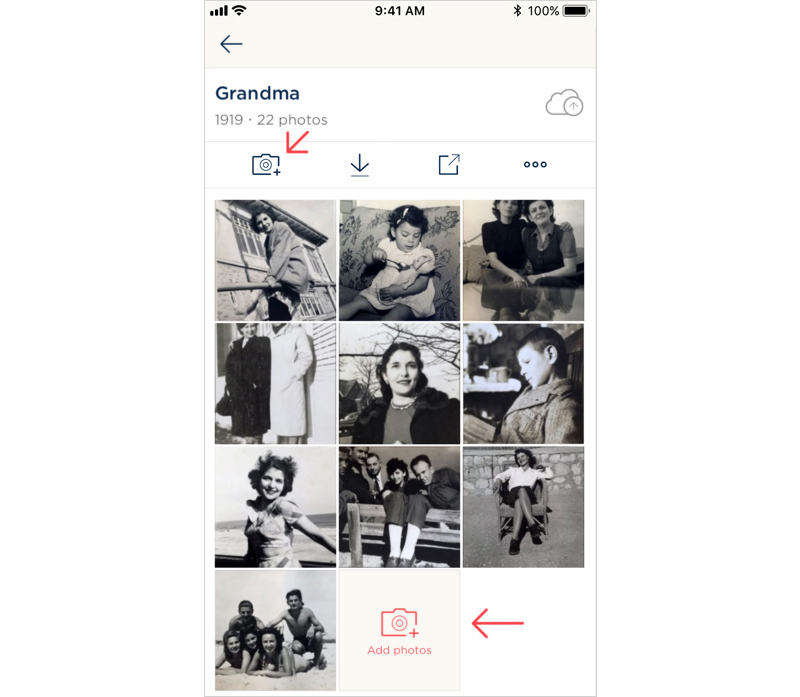 The app will automatically save those new scanned photos to this album when you’re done.